picture is the same brush after I cleaned it. This is my nontoxic and odorless method of cleaning dried acrylic paint from paintbrushes. 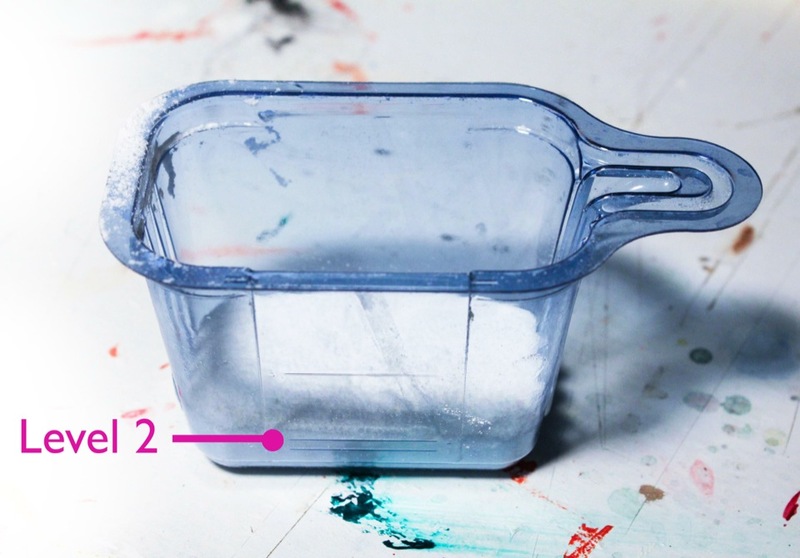 If you should forget to wash out a brush and the bristles are encased in dried acrylic paint, try this before you throw it out. Toxic solvents are not required and most of the work is just allowing the brush to soak. Paintbrushes are expensive so this tip is priceless! * While detergent is safer to use than flammable solvents, please read and follow the warnings on the container. Do not get it into your eyes, inhale it or get it on your skin for extended periods. Arm and Hammer detergent is made up mostly of sodium carbonate so it will work just as well as the soda wash. I used the scooper to measure the detergent to level two (there are faint lines on the side). The measurements don't have to be precise, this is just to give an idea of the ratio of the detergent to the water. Mix the water and detergent in the jar and let the brush soak in it for an hour. I used a clothespin to keep the brush from resting on the bottom of the jar. If the brush is left standing on its bristles for too long they can become misshapen, especially in hot water. The clothespin also allows you to adjust how deep the brush is soaking in the water. This is how I let the brush soak. brush in the water and detergent. 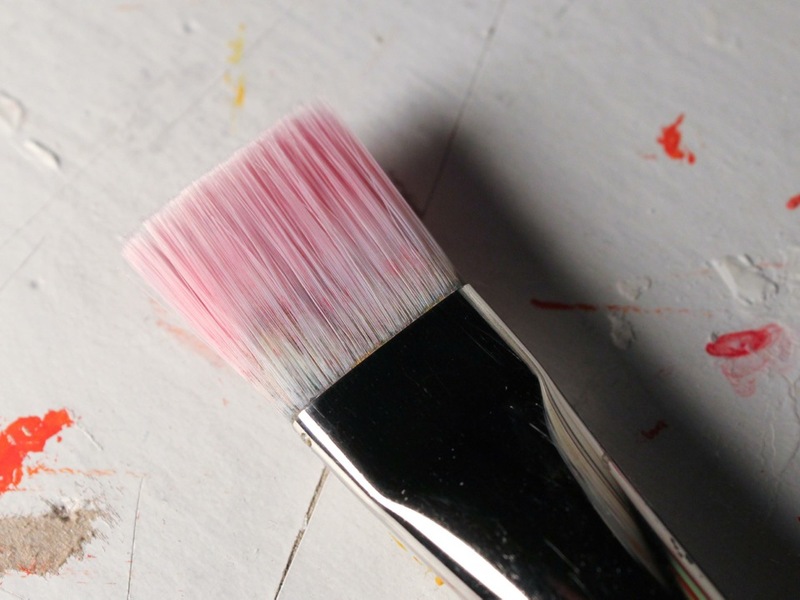 A general tip for taking care of your paintbrush is to not allow the wood handles or ferrules of your brushes to soak in water for extended periods. The water can penetrate the wood and cause the paint to crack and fall off. 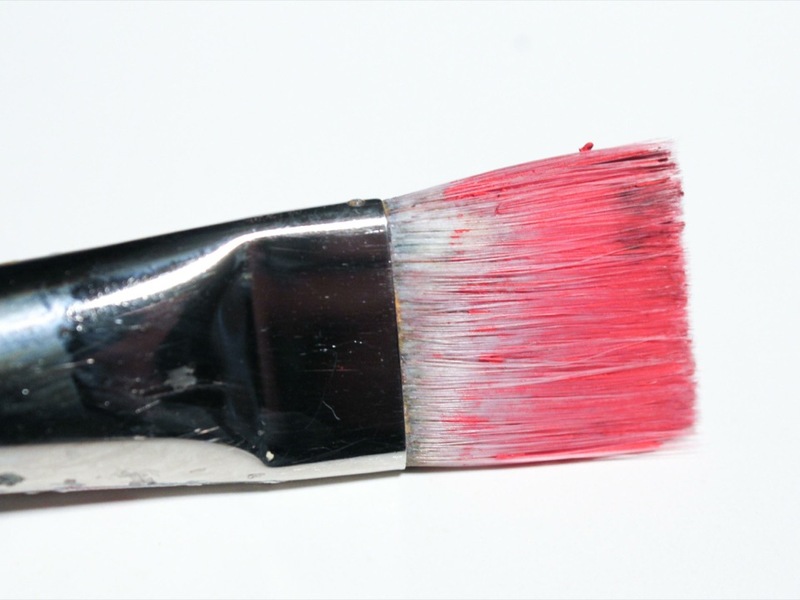 If your old paintbrushes have cracked paint and bare wood handles, this may be your problem. You can prevent this by filling your water containers with only enough water to cover the bristles. The metal ferrule of the brush is what holds the bristles together and water can sometimes weaken the adhesive that's in there, causing the bristles to fall out. After an hour of soaking the paint was softer and more pliable. I used a rag to wipe off most of the paint, you can also scrub it with an old toothbrush. Please note that softer bristles may require more care than bristle or nylon brushes. I cleaned it after an hour of soaking. 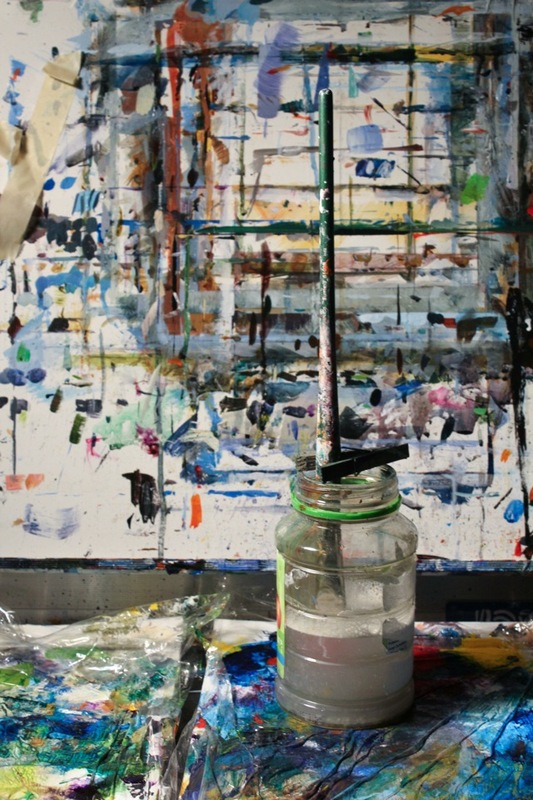 When most of the softened paint was removed I returned it to the jar of detergent and let it soak overnight. The next morning I cleaned the bristles with a bar of soap and water. 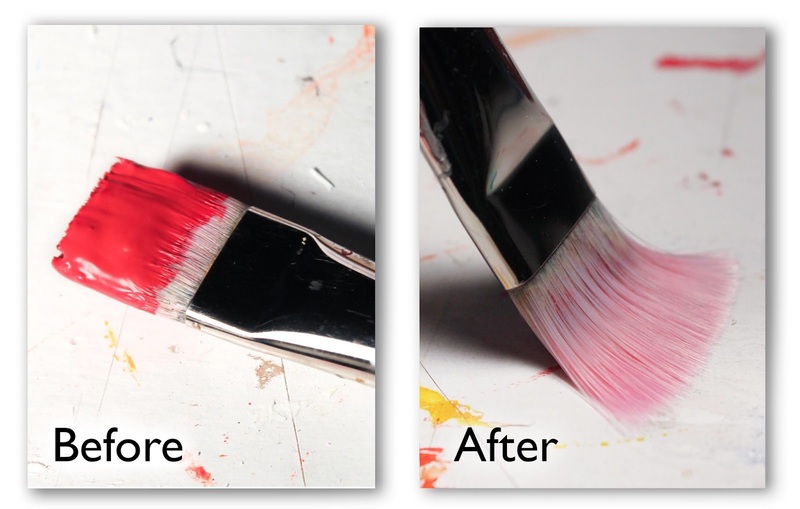 With the exception of the pink stain in the bristles the brush has returned to a useable condition. If you don't have the time to soak it overnight then maybe just soak it for another hour and clean it again. Repeat until it's clean. If the paint is really stubborn then you can try mixing up more detergent with hot water as the heat does help in removing the paint. ready to attack another canvas! A weaker mixture of detergent can be used for the general cleaning of paintbrushes to prevent paint from building up in the bristles. I usually only soak them for 10 minutes or so and then rinse with water. This does seem to work better than regular hand soap. Were you able to resurrect petrified paintbrushes? Let me know by leaving a comment below!